Lovelies! We have teamed up with PAMA to bring you an amazing summer contest where you can win $500! If you haven’t heard of PAMA before, you should! PAMA Liqueur captures the complex, sweet yet tart taste and seductive ruby color of all-natural pomegranates in a drink. 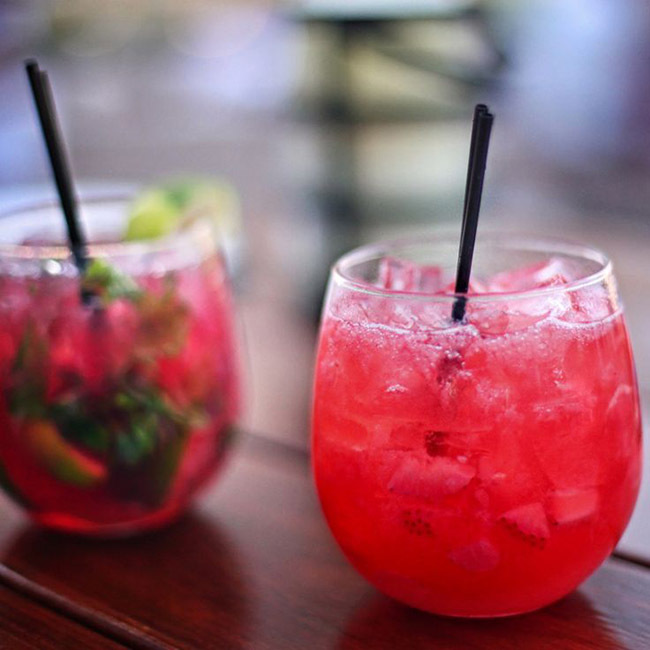 It is made with all-natural pomegranate juice, premium vodka and a touch of imported tequila. Can you say YUM! Our heads are already spinning with all of the lovely cocktails you can make with a wonderful flavor like that! It is so versatile and can be added into almost any drink to make the most delightful sip like their Margaritas, Martinis, Mojitos, and Daiquiris. Get some of their delectable drink recipes here. It also pairs well with most foods and you can even cook and bake with it. Use it in vinaigrette, glazes, sauces and desserts to get a seriously lovely pomegranate flavor that you can’t get anywhere else. There is an AH-mazing brie and pomegranate crostini recipe they have that is just to die for that we can’t wait to try. 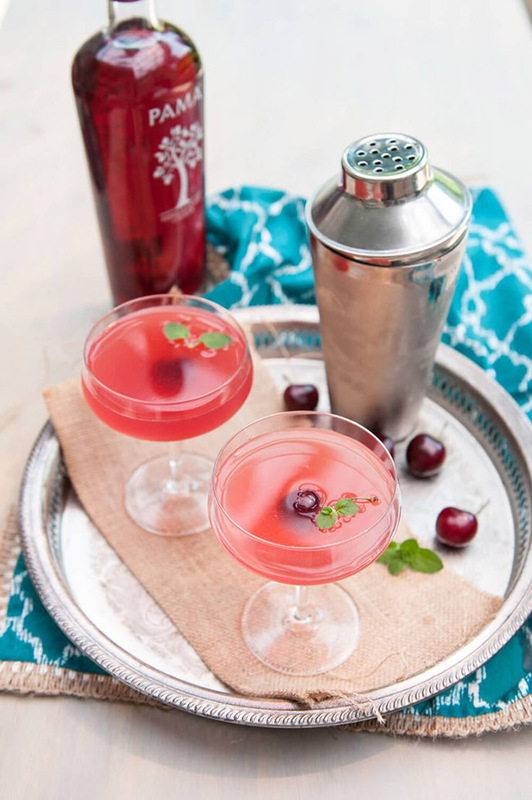 PAMA is the perfect complement to summer with all of the different ways you can use it and we can’t wait to start using it in our parties and get together this year. We have a lovely PAMA inspired party on the way so keep your eyes out for that until then, check out this amazing summer contest they have going! Like we mentioned before, PAMA has an amazing summer contest going on from June 22-July 20th where the grandprize winner wins $500 and the runner up wins $250! Yup two winners! Just think of the backyard patio furniture you could buy with that or new summer plates or summer entertaining dishes at your favorite store.There are some super cute looks this year that we know you want to get your hands on and here is a simple and easy way to get your hands on $500. Both winners will also win a fab PAMA Party Kit to throw a lovely summer party of their own too! Definitely a total score there! Start by going to their site to enter-PAMA Liqueur Summer Contest. Then make a stylish and fun Pinterest board showing your ideal summer party. We have already started one to give you some inspiration which you can find on our Pinterest but here is a sneak peek of some perfect summer ideas that we pinned already! There is definitely some good summer eye candy in there that you could check out but we are even more excited for the ideas that you pin too! Be Sure To Go To PAMA Liqueur For More Details And Get Your Entry And Board Started Today! Happy Summer! 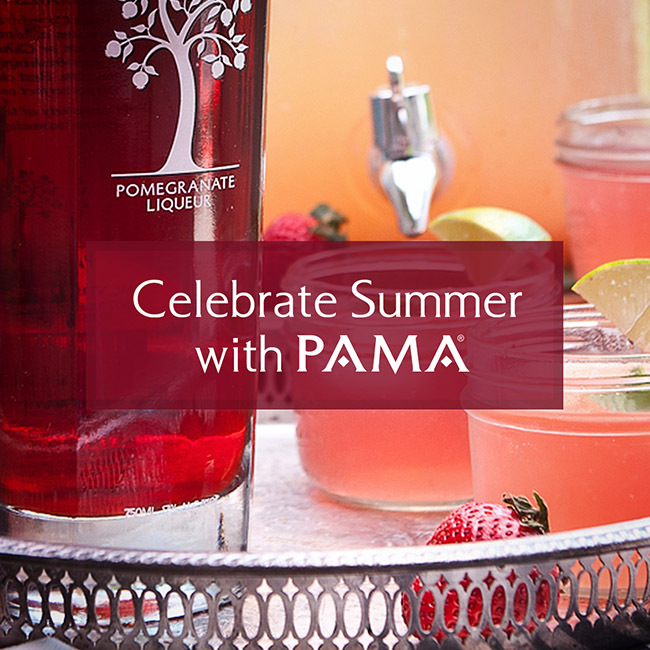 Celebrate Summer With PAMA! Twist On Tequila Lime Shrimp! Raspberry PAMAgranate Vinaigrette Salad Tequila Sunrise Poptails!